Manati Theme Park is a amusement park focusing on nature, its animals and the history of the Dominican Republic, where you will enjoy a unique experience. Manatí Park is located in Bávaro-Punta Cana, an incredible landscape of wonderful gardens overflowing with orchids and tropical plants. Manati Park is a sanctuary for rare animals and an exciting educational and cultural experience for visitors to Punta Cana. What began as a conservation and research project has now grown into a popular tourist attraction. Here you will be able to experience nature, coming into contact with the fauna and flora of the Dominican Republic. You can watch the jumps and goofing made by dolphins, sea lion, parrots perform amusing pirouettes, horse shows and artistic dances, also you can have a lot of fun with iguanas, snakes, crabs, flamingos, tropical birds, you may touch them, care them them and discover their world asking professional personnel about anything you want to know. Manati Park offers nine shows during the course of each day so that you may select your visit to the park when it suits you. You can also see the recreation of a traditional Taino village and enjoy in show – authentic traditional Taino dance rituals, recreated by skilled dancers and artistic players. 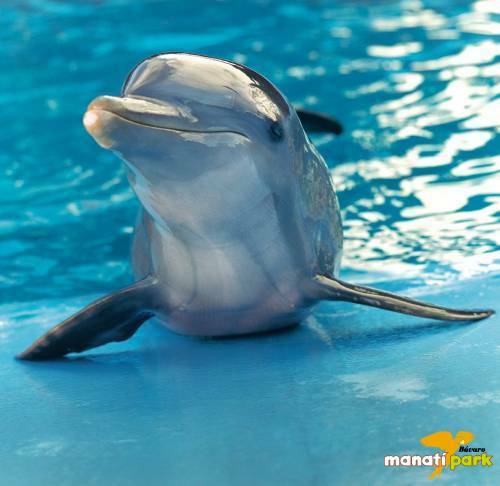 During your stay in Manatí Park, you will be able to enjoy in beautiful nature, restaurants, local crafts and souvenir shops… But the most exciting activity at Manati Park, is the opportunity to swim with playful dolphins, a dream that will live on in your memory long time and remind you of your holiday in Bávaro – Punta Cana.